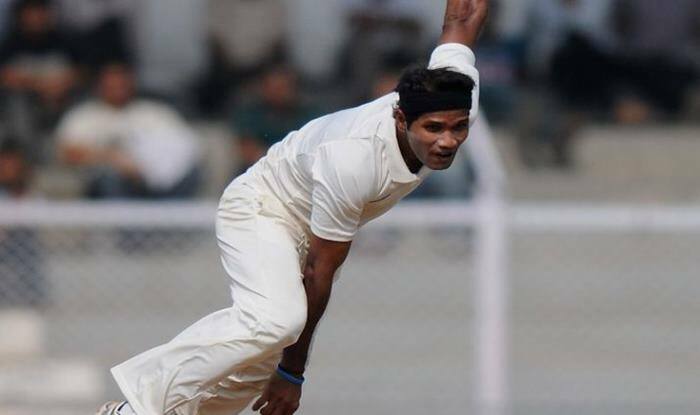 Bengal pace spearhead Ashok Dinda was hit on the forehead while attempting a sharp caught-and-bowled chance during Bengal’s Twenty 20 practice match at Eden Gardens on Monday. The incident happened when batsman Birender Vivek Singh hit straight and Dinda attempted the catch on his follow through but it slipped from his hand and hit his forehead, a Bengal support staff member said. The Bengal pacer was struck hard on the forehead by a straight drive from batsman Vivek Singh, who was facing him. Dinda was hit hard by the leather ball and immediately went down on the ground with physios and other players rushing for assistance. Dinda was in fine form for Bengal in the Ranji Trophy finishing as the highest wicket-taker for his side with 28 wickets in 8 matches. However, Bengal couldn’t make it to the knockout rounds as Vidarbha clinched the title for a second successive time after beating Saurashtra in the final. Dinda’s injury could have been a big blow for Bengal in the Syed Mushtaq Ali Trophy, however, he will be back soon after his injury heals.